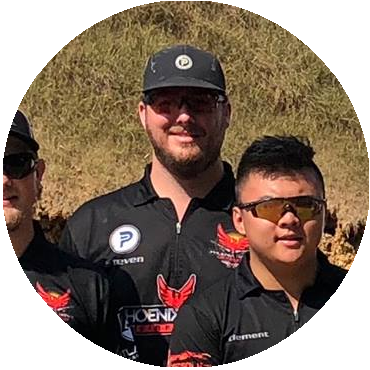 Steven has been classified in USPSA for 6.5 years and has been a member of Phoenix Trinity for 5 of those years. He mainly shoots Limited Division, and is Classified as GM. Steven’s favorite match to compete in is the Mississippi Classic. Steven’s current gun setup is a 5″ Limited gun with Evo grip. 13lb recoil spring.